Welcome to the lovely areas round Lake Rusken where you can live in a naturally handsome setting while taking advantage of many experiences and activities. 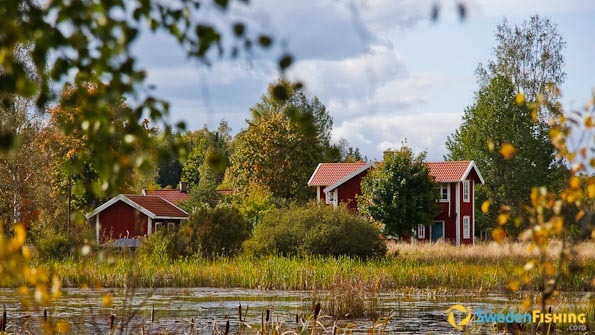 Our Adventure of Småland tourist camp in Långö, Tomteholm, is a meeting place for tourists seeking something special  an active Lake Rusken holiday in the beautiful untouched Småland nature. At Adventure of Småland we speak Swedish, English and German. The facility is open from April through November as weather allows. 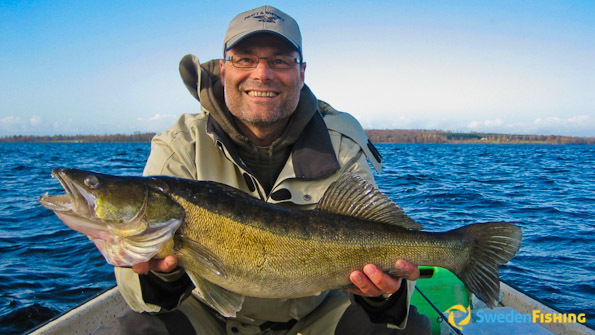 During the spring and autumn pike fishing leads the way, while pikeperch and perch fishing is excellent in the summer. 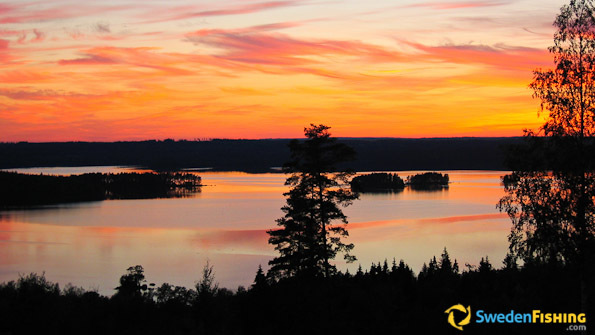 Lake Rusken offers a host of outdoor activities, including canoeing, cycling, hiking, wildlife watching and the like. We also offer courses in old crafts. It is possible to grill in a Sami cot or relax in a hot tub. Unique experiences at reasonable prices! 4.4 m Linder 440 with a 4 hp, 4-stroke Suzuki motor. The on-site fishing host can help with tips for fishing places and methods. The boats are fitted with 2.4 rod-holders, 2 anchors with 30 m mooring cable, 5 l reserve petrol and a depth chart. It is possible to rent a Hummingbird 120 portable fish-finder and a Minnkota electric motor. Jerk bait fishing for pike is an exciting method in both spring and autumn, while vertical jigging for pikeperch is a permanent fixture as well. Spin, fly, trolling and angling are all suitable at Lake Rusken making it a lake that suits most anglers well. We encourage Catch & Release fishing, especially for the large fishes. Should you wish to enjoy a fish meal, we suggest the medium sized catches. Use good common sense, keeping only as much as you can eat that day. There are both simpler summer cabins and a fully furnished houses offering high-quality accommodation. All are located in lovely natural settings often providing you with a stunning lake view to start the day. App. 170 km E of Landvetter/Göteborg Airport. App. 240 km N of Kastrup/Copenhagen Airport. App. 65 km N of Växjö. App. 30 km E of Värnamo. App. 60 km N of Alvesta. App. 70 km S of Jönköping.